We’ve often talked about the importance of getting off-the-beaten-path when traveling, especially when it comes to spending time in nature. Some of our best travel memories have been made while exploring a national park or hiking around the world. Thankfully, today’s guest contributor, Jacqueline Louie, enjoys nature as much as we do and is here to show us some of the best gardens to visit while exploring Western Canada. When you’re on the road visiting new and exciting destinations, finding a local garden to explore is always a great idea. These peaceful areas are the perfect way to relax, restore and regenerate while traveling. 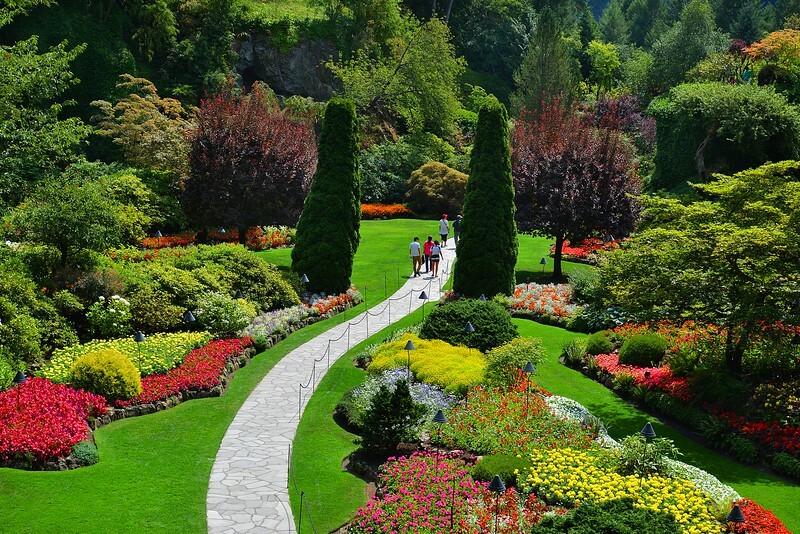 For those who have plans to visit Western Canada, here are a few of the most beautiful gardens in the area. 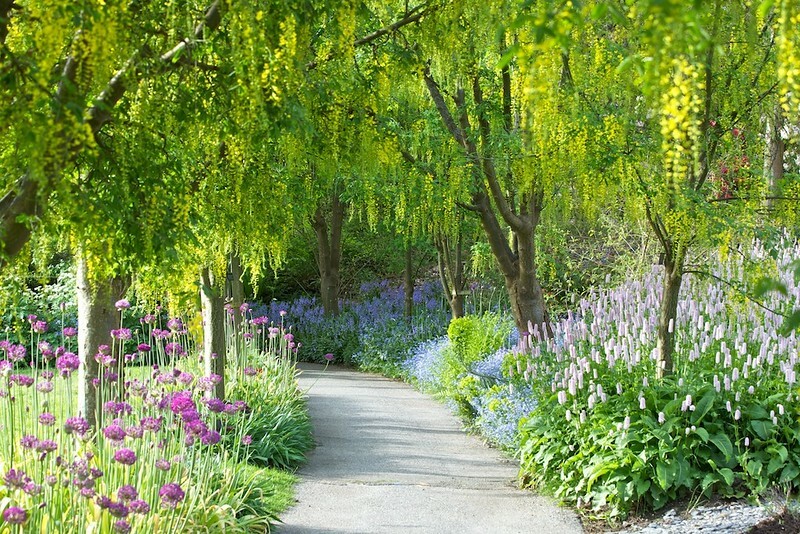 The VanDusen Botanical Garden is an outdoor oasis within the City of Vancouver, British Columbia, featuring more than 7,500 plant species and varieties from around the world. This 55-plus acre garden is also home to a diversity of wildlife, including butterflies, hummingbirds, ducks, herons, owls, turtles and more. 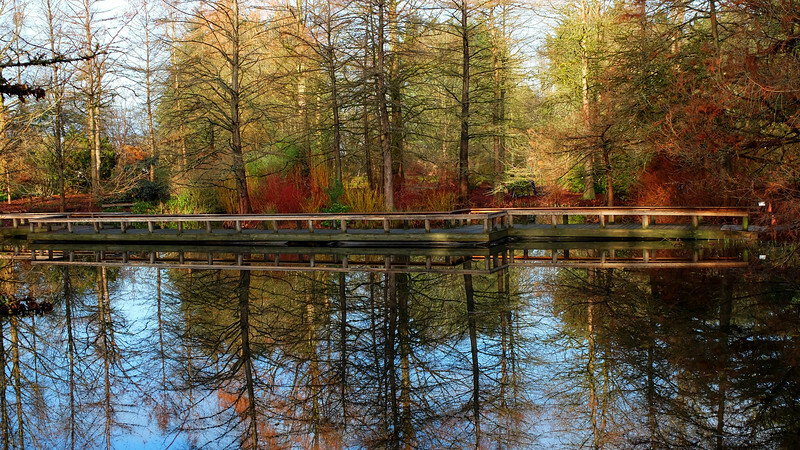 Strolling along the Cypress Pond is a sure way to unwind! “It’s a great place to bring your binoculars and camera. You’ll see different flowers blooming every month of the year,” says Emily Schultz, marketing coordinator for Destination Parks and Gardens, Vancouver Park Board, VanDusen Botanical Garden. 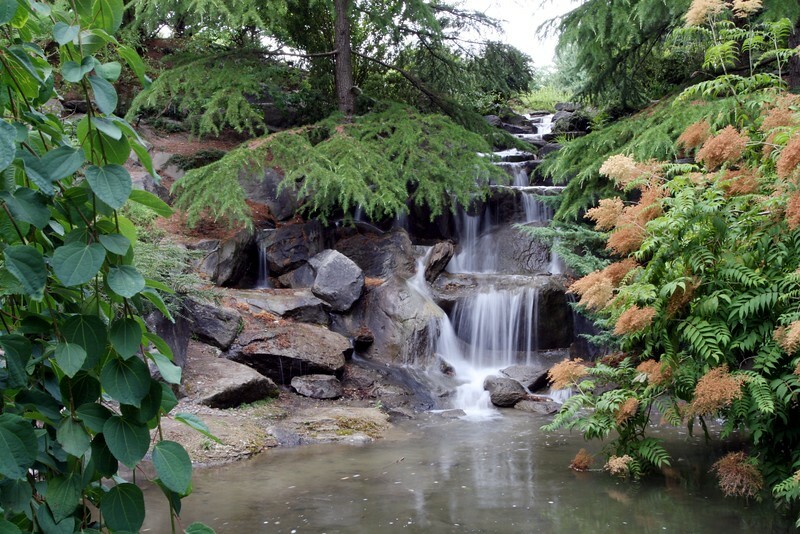 The VanDusen Botanical Garden also includes lakes and ponds, a waterfall, an Elizabethan hedge maze, and sculptures that you can enjoy as you stroll throughout the garden. Picturesque waterfall found in the garden. It’s a beautiful setting to have a picnic; or you can grab a bite at Truffles Café or Shaughnessy Restaurant, which includes a garden patio that’s open seasonally. 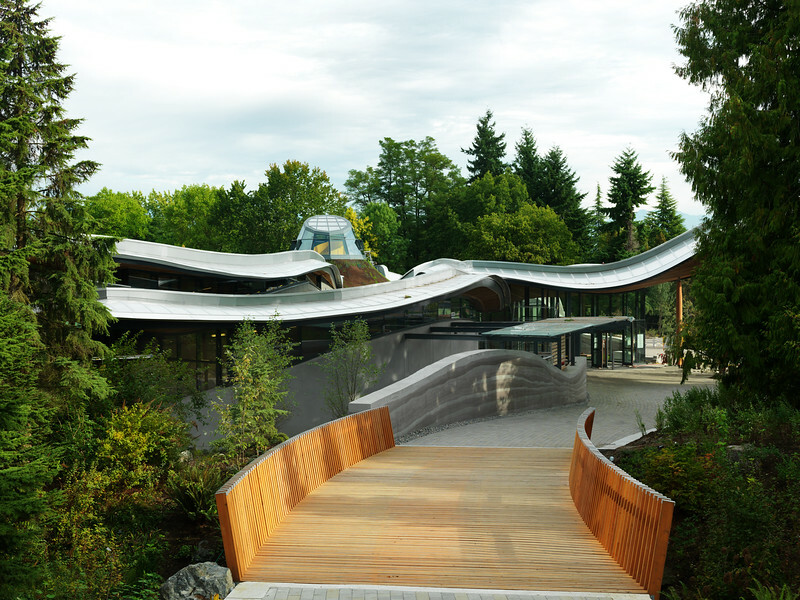 * Admission rates for VanDusen Botanical Garden vary depending on the time of year. In spring and summer, admission is $11.25 Cdn adults, and seniors 65 and up $8.50. A National Historic Site of Canada built in 1904, the Butchart Gardens was one of the world’s first land reclamation projects – an old limestone quarry turned into a magnificent garden. 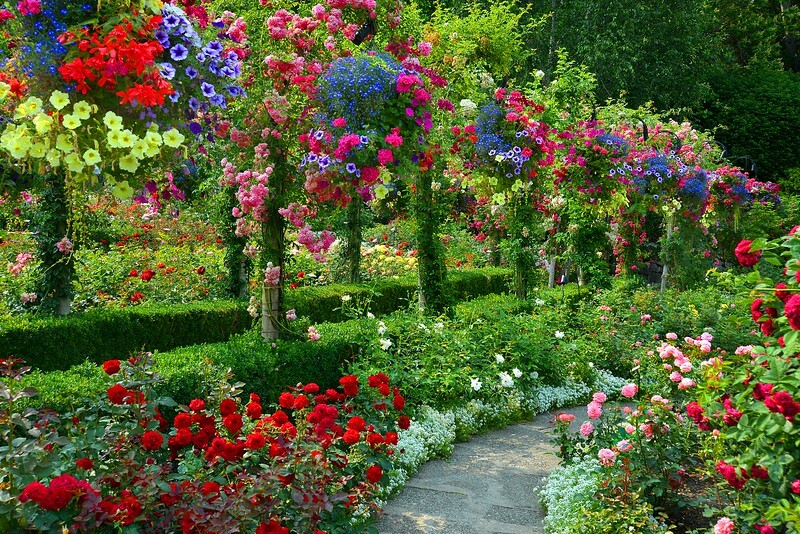 Located on Vancouver Island 14 miles north of Victoria, British Columbia, the Butchart Gardens covers 55 acres, and is recognized as one of the world’s top floral display gardens. “Every season is beautiful here. Summer is glorious, when the roses are in bloom. And it’s gorgeous in the fall, when our Japanese garden is alive with the brilliant reds of Japanese maples. There is something special about every season,” says Dale Ryan, Butchart Gardens director of public relations, sales and marketing. Dale’s favourite time to visit the garden is in the late afternoon, when it’s typically a little quieter and not as hot as at mid-day. * The Butchart Gardens, which is still run by the Butchart family, is open 9 a.m. – 10 p.m. from June 15 – September 15. The gardens are open year round; admission prices are seasonal. 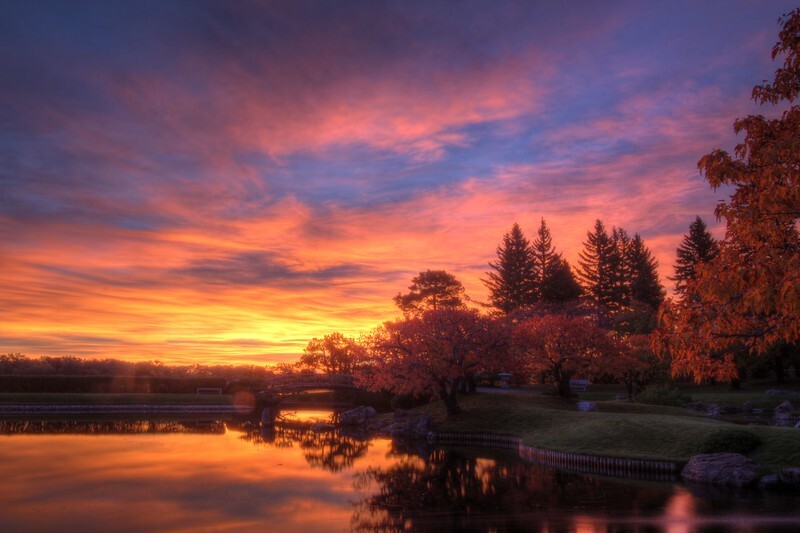 The Nikka Yuko Japanese Garden is a historic, horticultural, architectural and cultural gem located in the southern Alberta city of Lethbridge, 73 miles north of the U.S.-Canada border. The Nikka Yuko garden is a breathtaking example of Japanese design. Strolling along stone path and pond is a must when visiting. 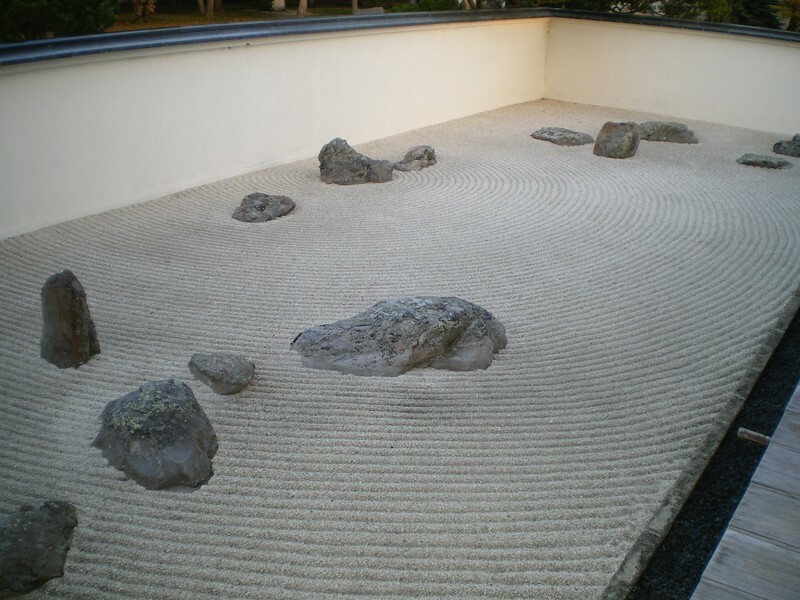 Japanese rock garden in the park. 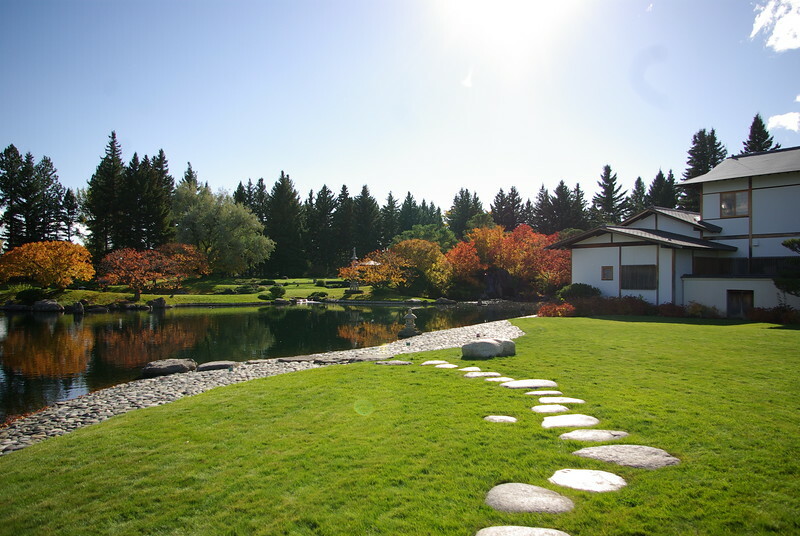 One of only three traditional Japanese gardens in Canada, this four-acre garden was a Canadian centennial project, completed in 1967, “to recognize those Japanese immigrants and Japanese Canadians that gave so much in their contributions to southern Alberta,” says the garden’s executive director, Michelle Day. Designed, landscaped and pruned in a Japanese style, the Nikka Yuko Japanese Garden was created to bring visitors peace and serenity through its architecture and design. When you arrive, you can take a tour and experience a variety of cultural activities, such as a tea ceremony, sword demonstration, boneski (sand art), taiko drumming, yukata (where you can dress up in traditional Japanese garb). * The Nikka Yuko Japanese Garden is open daily from mid-May to mid-October. Adults $9 Cdn, seniors ages 60-plus $6, youth six to 17, $4, and five and under, admission is free. Every Thursday is Throwback Thursday, to honor the garden’s historic past, with entries $5. 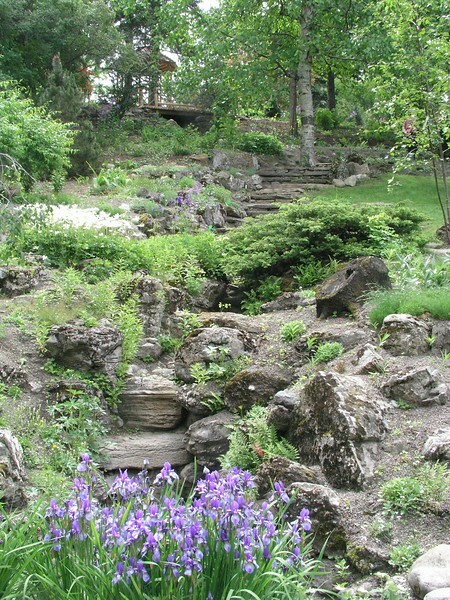 The Reader Rock Garden Historic Park is a classic Edwardian rockery and provincial historic resource. Located in Calgary, Alberta, a two-hour drive north of Lethbridge, the Reader Rock Garden was traditionally known for its botanical diversity, says Michelle Reid, cultural landscape lead for Calgary Parks. More than 4,000 plants from around the world were trialed in this garden by William Reader, Calgary’s most influential parks superintendent, from 1913 – 1942. Today, about a quarter of the original plants remain in the garden, which was restored in 2004 and includes a teahouse-restaurant, Reader’s Garden Café, located in a reconstructed Arts and Crafts style house. All of the original rockery remains in place, with pathways taking you to every corner and level of the nearly three-acre garden. A stream starts at an upper pool, meandering through the garden and then cascading to a lower pool. *There is no fee to visit the Reader Rock Garden, which is a public park, located just south of downtown Calgary across from Stampede Park. This article was originally published by My Itchy Travel Feet.